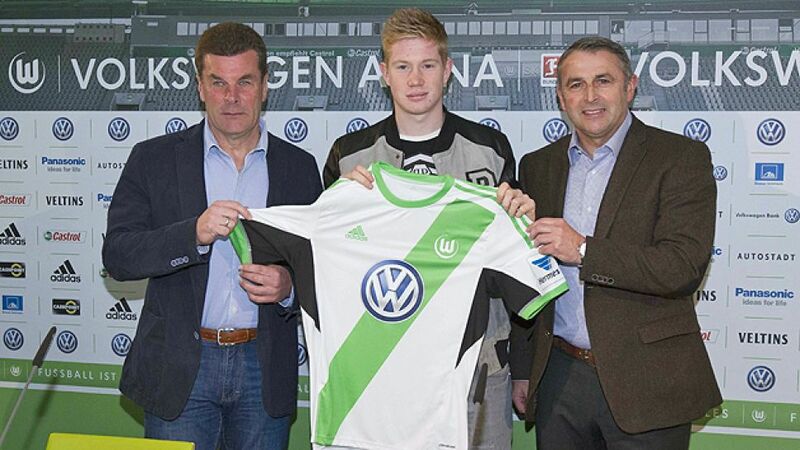 Wolfsburg - With only days to go until the resumption of action after the winter break, the German Bundesliga added another impressive name to its international employee role-call as Kevin De Bruyne swapped top English Premier League outfit Chelsea FC for VfL Wolfsburg. The effort paid off, as they eventually got their man in the biggest coup of the Bundesliga winter transfer window – with the knock-on effect that Bundesliga rivals 1. FSV Mainz 05 got theirs as well, South Korea national team captain Ja-Cheol Koo being given the green light to take his leave of the Wolves and join Thomas Tuchel's troops on a four-and-a-half year deal. The ongoing Wolfsburg project certainly holds enough promise to have won over a player other top clubs in Germany – Borussia Dortmund foremost among them – and elsewhere would gladly have welcomed into their own ranks. While confessing to not knowing much more about VfL than most of the other Bundesliga teams he got acquainted with while on loan at Werder Bremen in 2012/13, De Bruyne says the general improvement at the club has been palpable in the year-and-a-bit since Allofs ended his own long tenure at Werder to take on a fresh challenge in Lower Saxony. Hecking arrived as head coach a matter of weeks later and in the intervening twelve months, the duo have already put together a “good all-round team definitely capable of holding its own in Europe,” as their new No14 asserted. With him on board, Wolfsburg expect to become even better. By the age of 18, De Bruyne was a first-team regular for KRC Genk in Belgium's Jupiler Pro League and he was 20 when Chelsea came calling, in the middle of the 2011/12 campaign. The west London club, heading for a dramatic penalty shoot-out victory over FC Bayern in the UEFA Champions League final in Munich that self-same season, left him at Genk until the summer before farming him out to Bremen for a year.